More often than not in the craft beer World, it seems like hops are the big stars. Much of this is due to the fact that IPA is still king when it comes to craft beer and, while I still enjoy drinking IPAs through the Fall and Winter, I really start to appreciate the complex malt character of less hop forward beers like Stouts, Porters and Scotch Ales to name a few. I also enjoy many beers that have been barrel aged in Whiskey, Bourbon, Scotch or other barrels and, let’s face it, there aren’t that many barrel aged IPAs out there (though they do exist). I’m also rather picky about my Scotch Ales. There are only a few locally made Scotch Ales that I really enjoy, and one of them is Second Sight from Black Raven Brewing Company (CBM Sponsor). Now, Black Raven is preparing to release Second Sight’s more mature brother, Splinters Bourbon Barrel Aged Scotch Ale. Have you been out there enjoying all of those wonderful, harvest season, Fresh Hop beers? I know I have and I’m loving it. Now, however, with the things getting a bit chillier outside, my palate is ready to welcome back all those wonderful, malty dark beers. Black Raven Brewing Company (CBM Sponsor) is ready to oblige. They’ve announced that their popular, award winning Grandfather Raven Imperial Stout is set to make it’s annual return this coming Friday, October 19th. Summer has finally arrived in the Northwest! It hit almost 90 degrees in Seattle yesterday and should be another hot one today. With it being so nice and warm outside, you’re definitely going to need something to help cool you down for the weekend. Lucky for you, Black Raven Brewing Company (CBM Sponsor) is set to bring back their popular, Seasonal offering: Beaktweaker Citrus IPA. Brewed with black lemon, orange and lemon peel, this bold, citrusy IPA should help quench your thirst on all those warm Summer days ahead. It’s bright outside. Summer is almost here and you need a little shade. Heading out for a beer but forgot your sunglasses? 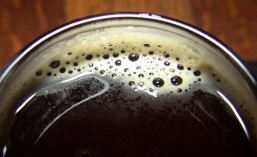 Then you’ll need something dark to hold up and block those rays – but you probably still want something hoppy. After all, for most of us, Stout season is just about over. A nice, hoppy, Black IPA would do the trick, right? Well, Black Raven Brewing Company (CBM Sponsor) has you covered. Later today (6/1) they’re prepared to release a new Black IPA, and they had a little help with this one from a local homebrewer. Say hello to Beak & Claw Black IPA. Here in the Northwest, we take a lot of pride in our craft beers. While we recognize that there are excellent craft beers available from around the nation, most of us have a special place in our hearts (or is it livers?) for beers made in Washington State. That’s why I’m always glad when Spring arrives and the Washington Beer Commission brings back their annual Washington Brewer’s Festival. Set this year for Friday, June 15th through Sunday June 17th at Marymoor Park in Redmond, there are a few changes you’ll want to be aware of regarding how drink tokens will work at this year’s fest. Last year, I told you about a new palace in Redmond called Growler USA. They were the newest location for the company, which has locations in over 19 states including Hawaii and Washington State (Vancouver). Less than a year after opening however, Greg and Ann Humes – who ran the Redmond location for Growler USA – decided they’d rather be independent. So they broke ties with Growler USA and re-branded themselves as Hop House. Freed from their corporate shackles, so to speak, Greg and Ann were free to curate their local tap selections as they saw fit, bring in more imports and actually reduce their total number of taps from 105 down to 75, in order to make more room for local liquors as well. Now, with Seattle Beer Week 10 (SBW10) about to kick off, Hop House has a few events they’d like to share, to bring a bit of SBW10 to the East side. Everyone loves a good party, especially when that party involves craft beer. Black Raven Brewing Company (CBM Sponsor) definitely knows how to throw a great craft beer party, and they prove it every Spring with their annual Flock Party/anniversary celebration. This year is Black Raven’s 9th anniversary/Flock Party and it’s set for Saturday, May 5th from noon till 8 pm. As always, the Flock Party will feature several live music acts, plenty of ‘rare birds’ (rare and unique Black Raven beers, including some special cask infusions), delicious food, a retail merchandise booth and they usually also have an outdoor cigar lounge/booth. Posted in Aged, Ale, Anniversary, Annual, Award Winning, Barleywine, Barrel Aged, Beer, Beer Ingredients, Belgian, Best Of, Bottling, Bourbon, Bourbon Barrel, Branding, Brewing, Brewpub, Cask, Cask-Conditioned, Cheese, Cigars, Cocoa, Coconut, Craft Brewery, Distribution, Dog Friendly, Draft, Events, Flight, Food, Food Truck, Fruit Beer, Hops, Imperial, Infusion, IPA, Limited Edition, Local, Music, Nitro, On Tap, Pale Ale, Party, Pilsner, Porter, Promotion, Pub, Pubs, Redmond, Scotch Ale, Seasonals, Seattle, Series, Sours, Spring, Stout, Taproom, Taps, Tasting.